Although Apple has its own operating system for both desktop (Mac OS X) and iPhone (iOS), the company has always tried to port its in-house applications to other OS platforms. Apple debuted on its rival mobile OS platform last year with the launch of Apple Music on Android. However, iTunes and Safari has already been made available for both Windows as well as Mac. Now, the company will soon move more of its mobile applications to Android if comments made by Chief Executive Tim Cook at the recent company-wide event for Apple employees are to be believed. Cook reportedly told his staff that sooner Apple may bring other apps and exclusive services to the Android Systems, and added that bringing Apple Music to Android in November was "a way of testing the waters for growing its services division through other platforms," reports 9to5Mac. 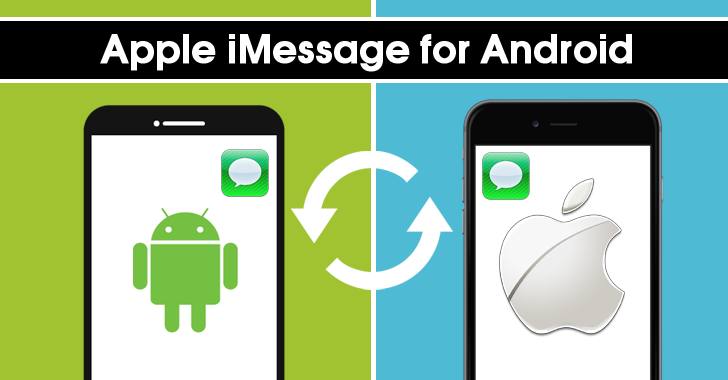 So, you could see iMessage, the company's encrypted messaging application, expanded to Android. iMessage is one of the most famous Apple's apps that allows Apple users to send and receive messages, photos, and videos to their fellow Apple users as long as the device has a data connection. What many of us know is iMessage uses end-to-end encryption that even Apple or anyone else can not access or read your messages, but what we don’t know is backed up messages to Apple's iCloud service are vulnerable to federal warrants. With iCloud Backup enabled, the copies of all your messages, photographs and every important data stored on your iPhone or iPad are encrypted on iCloud using a key controlled by Apple, and not you. This would allow Apple and hence, anyone who breaks into your account, to read your messages and see your personal and confidential data. Besides iMessages, the list of Apple apps that you could see expanded to Android may include iTunes, Music Memos, Apple Maps, and iCloud. In September, the company released its first-ever Android application, known as Move to iOS, designed to help Android users transfer their content quickly and safely from an Android device to an iOS device. Although it is yet unclear when Apple will make the move, if this happens anytime soon, Which one of your favorite Apple apps you want to see on your Android devices?